The Giveaway Roundup is settling into its new home quite nicely. A big thank you to everyone who has added giveaways and spread the word in various ways, as well as has sent me sweet messages. I cannot express how much I appreciate it. If you don’t mind, I do have a favor to ask of you that will benefit us all. Since you use the link up, I would like your valuable opinion. I want to hear your comments and suggestions. First, let me give you some things to consider. A new link up is started the first of each month and remains open all month for new giveaways to be added. The link up currently sorts the listings with the most recently added giveaways at the bottom. It could instead be sorted with the most recently added giveaways at the top. The link up entries are numbered in the list. That number is not tied to the particular item. It is only numbering the list as it is sorted. The number could be removed from being displayed. Currently giveaways that end remain in the link up and the name is changed to ENDED. Instead they could be deleted entirely once they end. Or they could remain in the list but moved to the bottom with the active giveaways in the list first. I think one things that needs to be addressed is the list getting too lengthy as the month progresses with the inclusion of the giveaways that have ended. Then keeping in mind that any changes to the link up can impact the ability to identify where to start at in the link up when you next return. I’d love to hear your feedback. I’m sure you have ideas, suggestions or considerations I may not have included here. Please comment below or send me a message. Before you leave, don’t forget to check the new giveaways on the link up and stop by to enter our giveaway. Personally…I think it is grrrreat just as it is…is nice to come & scroll down to see if any new things are listed….and the end dates, only FB, etc info is Super to be shown. You have done Amazing job…it is perfect in my thinking! Thanks for your hard work! I love it! I would ask that you not remove the numbers. That is how I keep track of where I left off. I keep a post-it on my monitor with the last giveaway I visited. Trying to use dates to know when I was last on the site would be too hard for me to remember. I would keep it in the same order, newest at bottom, numbered in order, but if you need to cut down the size of the list, I would remove the links and the number as they end. All that said…you are doing an incredible job and I know I, and many others, sincerely appreciate your hard work. Thank you! You are doing an awesome job!! I do not mind the new posts at the bottom, but if some of the ended ones could be removed that would keep the list manageable. I also liked when there was a green check mark for the links that I had completed, could this be added again? Thanks for having the Giveaway Roundup!! 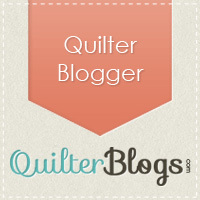 I’ve discovered many new blogs to follow!! I really like the numbers, very easy to keep track of your place and where you were when checking for new postings. I also like Susan’s idea of reversing the order, having the newest ones on top would also put the ended ones at the bottom, eliminating the need to scroll down to the bottom to find the last giveaway you entered. Howdy, happy people! Thanks for stopping by and welcome to The Giveaway Roundup! This is your source for crafty giveaways. Click the image below to go to the current link up for this month. Don't forget to grab a button!